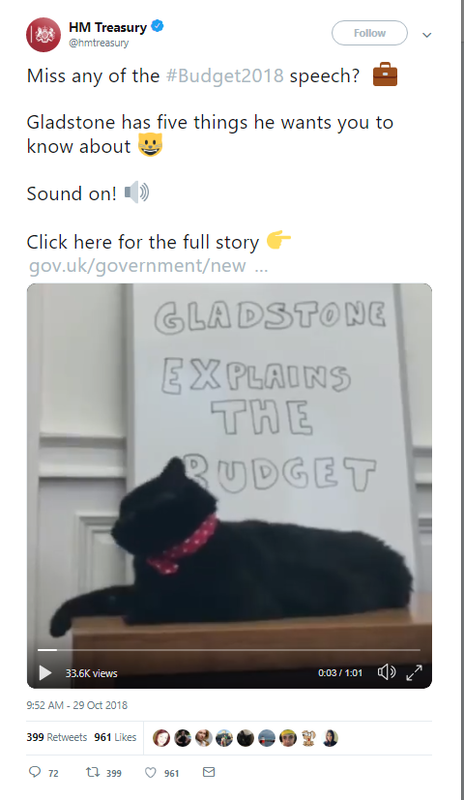 Recently the UK Treasury tweeted a video clip of Gladstone its in-house cat explaining the Budget 2018. It was re-tweeted almost 400 times. It also made the news. Gladstone is one of the many mousers employed in the UK government with an unofficial Twitter account. These accounts have gathered a number of fans. The UK Treasury tweet is a good example of how government departments can use these virtual cat accounts to attract attention to their social media content. While public sector organisations have picked up the use of websites for information provision, the (effective) use of advanced interactive applications, such as blogs and social networks (Twitter, Facebook, etc.) is more limited and often not engaging. As demonstrated by the example above, this does not need to be the case. For social media to be effective tools of citizens’ engagement, they need to express a human side. What better than to harness the British public’s love of animals and to focus on everyday matters (much public concern and media coverage was generated when Gladstone briefly went missing earlier this year). Catching people’s attention first and then getting them interested in the topic seems a sensible ploy. Compared to un-elected public officials, many politicians have mastered communication skills (for the better or for worse). There are at least two reasons for this. Firstly, politicians have a clear self-interest in communication: elections. On the other hand, un-elected public officials are rarely promoted on the bases of their external communication skills. Quite the opposite, communication is often the job of PR teams alone who are heavily dependent on the information passed on from policy and service delivery teams. Communication specialists are frequently seen as dispensable and do other tasks as well. Indeed, a specialist qualification or training in communication is not even required to work in communication – many seem to assume that people have been born with the skills required. Also, the budgets for communication are frequently the first to shrink in times of financial hardship. Secondly, unlike politicians, un-elected public officials have for long been taught (and some still are) that they need to be a neutral part of the policy and service delivery process. However, un-elected public officials have experience and knowledge which can serve as a source for discussion. Preventing them from being part of the debate with citizens is like withholding from citizens important sources of information and knowledge. While electoral mandates give politicians the authority to approach un-elected public officials as they please, citizens are far more restricted. For these reasons, the best practices in the public sector see un-elected public officials as partners rather than bureaucrats and neutral servants. Social media are the most simple and accessible tools for making the switch. You might think the example of Gladstone is a little irrelevant – and that the comments under the tweet did not create any engagement. However, I think it is less relevant in this case because the Tweet activated people – it made people watch the one-minute video conveying the basics of the newly adopted budget. In turn, the tweet might have taught people about the budget and perhaps even induced them to discuss it at home, with friends and colleagues (and even their pets). Andreja Pegan has a PhD in Political Science and is a research fellow in the COGOV project at Northumbria University (GB). 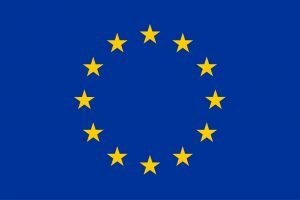 She has previously researched the communication of Cohesion policy in the EU and the public administration of the European Union.